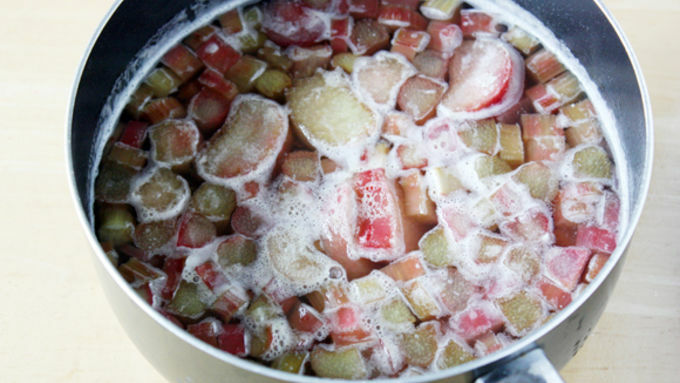 In a medium saucepan over high heat, bring rhubarb, sugar, water and vanilla extract to a boil. Reduce heat and simmer for 6-7 minutes. Remove from heat; cool to room temperature. 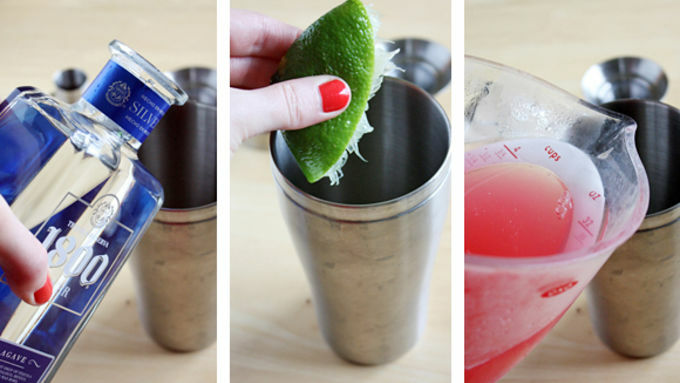 Add tequila and lime juice to cocktail shaker and cover; shake to combine. Moisten the rims of 4 glasses with lime juice; roll rims in coarse salt and sugar, if desired. Place a few ice cubes in each glass. 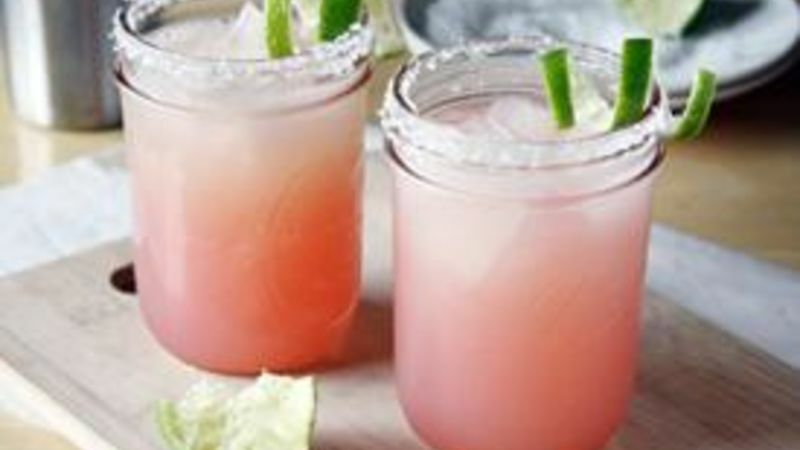 Pour margarita mixture evenly into prepared glasses. Garnish with lime twists, if desired. Serve immediately. 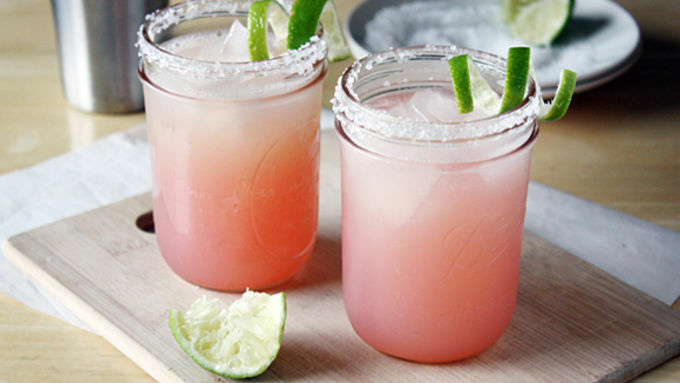 Wait, that’s not how it goes, is it… In any case, rhubarb pie is so last season – this year, it’s all about the rhubarb-flavored margarita. Oh yes, you read right. 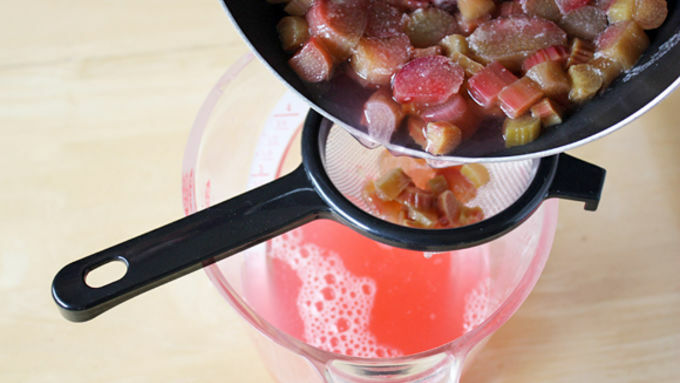 Rhubarb simple syrup gets its shake on with lime juice and tequila in this delicious, tangy and tart springtime cocktail. It might sound complicated, but it’s seriously one of the easiest drinks I’ve ever made (and that’s coming from someone who can’t make a rum and coke to save her life. True story. ANYWAY…). Let’s get our ‘ritas ready! Pour the mix over ice and serve. THAT IS IT. Told you it was easy. A few sips of this trendy beverage and you too will be singing, “Bebop-a-reebop, rhubarbaritas!” in no time.